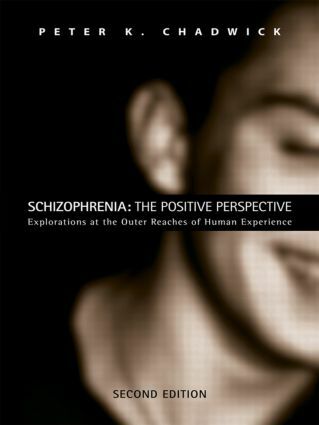 This fully revised second edition of Schizophrenia: The Positive Perspective uses biographical sketches and essays to discuss schizophrenia and related conditions, providing advice on methods of coping, routes to growth, recovery and well-being, and how schizophrenia can be viewed in a positive light. It also explores the insights of R.D. Laing and discusses how they can be applied to contemporary ideas and research. Psychoanalytic approaches to psychosis and their extension into the spiritual domain. Using cognitive behaviour therapy in the treatment of profound existential distress. How experiences on the edge of madness can be relevant to understanding reality. Schizophrenia: The Positive Perspective encourages hope, confidence and increased self-esteem in schizophrenia sufferers and raises new questions about how schizophrenia should be evaluated. It is important reading for anyone working with schizophrenic people including psychologists, psychiatrists, social workers, and other mental health professionals.